Don't deny those pasta cravings just because it's summer and (hopefully) warm and sunny outside! Simply opt for some lighter, fresher toppings and ingredients. 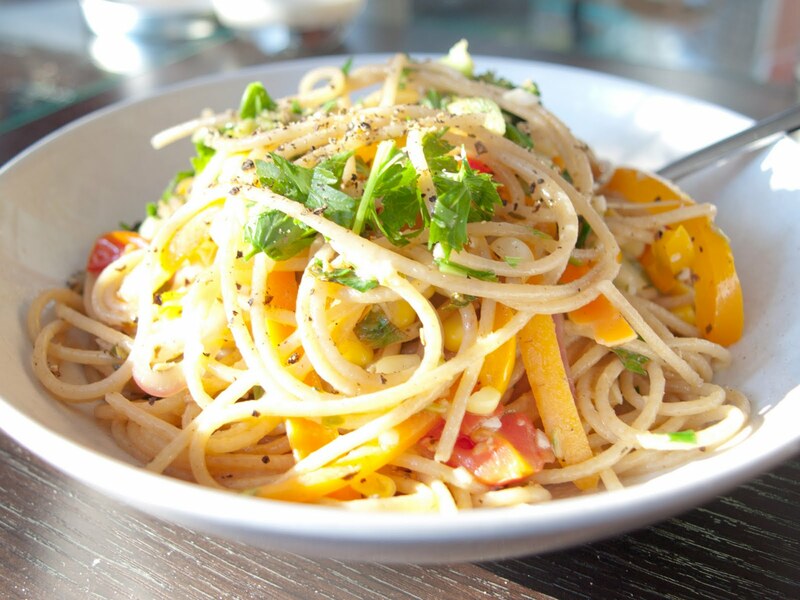 I tossed this whole wheat spaghetti with olive oil, lemon zest and lemon juice, flat-leaf parsley, basil, garlic, and coarsely-ground salt and pepper. The dish was so refreshing I didn't even miss the usual side-focaccia or sprinkling of cheese.